Deciding what to wear is a really personal thing—it’s one of the ways you show people what you’re about. Wearable technology is no different, so Android Wear offers a wide selection of apps and watches to suit your taste. It’s about expressing who you are, however you want, right on your wrist. Today there’s even more ways to show your style with Android Wear, including dozens of new watch faces (powered by an official Watch Face API), a full collection of devices on Google Play, and lots of other improvements based on your feedback. So try ‘em on for size, and let us know what you think. 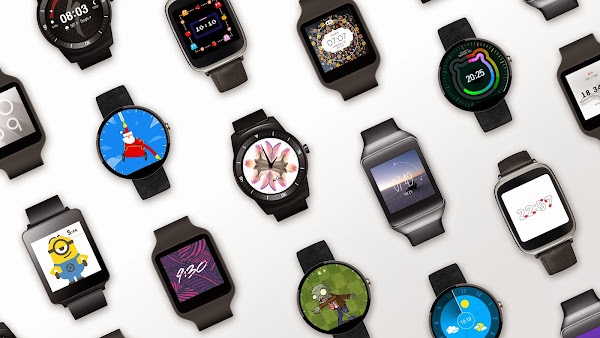 Starting today you can download watch faces from Google Play, just like you do with apps. We’ve got dozens of examples to get you started—from the unpredictable Minions in Despicable Me to the X-Ray artistry of Hugh Turvey. And because the new Watch Face API is available to all developers, you can expect even more choices in the weeks and months ahead. We’ve also updated the Android Wear app on your phone to make browsing, downloading, and switching watch faces really easy. So pick the one you like the best, or pick a new one every day. In only a few short months, the Android Wear collection has grown to include six unique watches—the ASUS ZenWatch, the LG G Watch, the LG G Watch R, the Moto 360, the Samsung Gear Live, and the Sony SmartWatch 3. Some are circular, others are square. Some are traditional, others are sporty. And that’s exactly the point. With different shapes and styles, it’s really easy to make your watch your own. So by all means: wear what you want. This entry was posted on Wednesday, December 10, 2014 at 9:59 AM and is filed under Android. You can follow any responses to this entry through the RSS 2.0. You can leave a response.